Founded in 2014, Equi-Stem has quickly become the leader in equine stem cell preservation of umbilical cord tissue. Wanting a safer and more efficient technique of extracting stem cells from his horses, Equi-Stem partner, Mark Wasserman, created Equi-Stem as an alternative to the problematic bone marrow and adipose extractions. 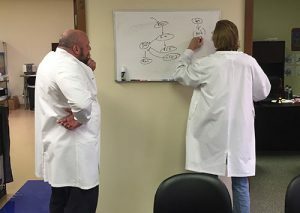 The company is committed to providing world class service and timely assistance, and with its experienced employees and preeminent experts on its staff, Equi-Stem is able to provide its customers with the most current research and treatments in regenerative medicine. Equi-Stem’s mission is to enhance the horse’s value today, while preserving the equine athlete’s future health and maintenance for tomorrow.